One of the most prominent leaders of the children of Holocaust survivors has attacked people who attempt to “pervert the memory of the Holocaust”. Menachem Rosensaft described as “obscene” those who “wish to twist and distort” the Shoah for political purposes. Mr Rosensaft, a lawyer, who was the guest of the Holocaust Educational Trust at its fund-raising dinner on Wednesday, was born in the Displaced Persons (DP) Camp at Bergen-Belsen in 1948, and his birth there was against all odds. Both of his parents, who came from Chasidic families, had been married and widowed previously – in his mother’s case losing her husband and her daughter in Auschwitz. Menachem’s father, Josef Rosensaft, became the head of the central committee of liberated Jews, first in Bergen-Belsen and then in the DP camps in the whole of the British zone in post-war Germany. Menachem’s mother, Hadassah Bimko, who studied medicine in France before the war, was appointed by the British to work with the skeleton medical team working in the DP camps after liberation. Before Belsen was liberated by the British army in April 1945, Hadassah was in charge of the children’s barracks at the camp and took in, against the regulations, the then-14-year-old Mala Helfgott and her little cousin from whom she refused to be parted. Mala Tribich, as she is today, was reunited with Menachem Rosensaft at Wednesday evening’s event. “My parents decided that they would not leave the DP camp until all the survivors had been taken care of,” he said. In the event, the DP camp stayed open until 1950, and Menachem was one of 2,000 babies born in that period to survivors of the camps. 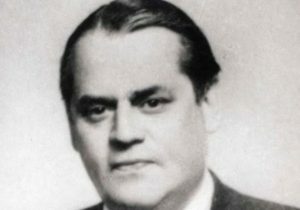 In July 1948, Josef was a delegate to the second plenary of the World Jewish Congress, which took place in the quiet Swiss town of Montreux on the shores of Lake Geneva. Josef fell in love with the peaceful atmosphere and moved his family to Switzerland, where they stayed until Menachem was 10, subsequently moving to the United States. Mr Rosensaft became an eminent lawyer and law lecturer, as well as general counsel to the World Jewish Congress. Today, aged 68, he is one of the leading figures of the so-called Second Generation, although he dislikes the term. “We, as children or grandchildren of survivors, have to remember that we are not survivors. “We never suffered; we did not see people killed. We don’t have any of the privileges of survivors. He is particularly keen on highlighting the bond between survivors and their grandchildren, saying that often survivors would tell their grandchildren things they could not share with their children. Speaking ahead of Wednesday’s dinner, Karen Pollock, the chief executive of the HET, said she was delighted and proud that the organisation had been able to bring Ms Tribich and Mr Rosensaft together, describing them as “two inspirational individuals”. She said: “Because of Menachem’s mother’s kindness, Mala lived to see the liberation of Bergen-Belsen by British troops in April 1945”. 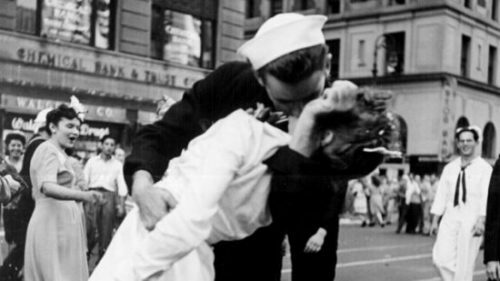 NEW YORK — The woman who was kissed by an ecstatic sailor in Times Square celebrating the end of World War II has died at the age of 92. Friedman, was a 21-year-old dental assistant in a nurse’s uniform on Aug. 14, 1945, known as V-J Day, the day the Japanese surrendered. People spilled out into the streets from restaurants, bars and movie theaters in New York City when they heard the news. That’s when George Mendonsa spotted Friedman, spun her around and planted a kiss on her. The two had never met. It was also captured from a slightly different angle by Navy photographer Victor Jorgensen. Eisenstaedt’s photo was first published in Life, buried deep within the magazine’s pages. Over the years, the photo gained recognition, and several people claimed to be the kissing couple. In an August 1980 issue of Life, 11 men and three women said they were the subjects. It was years until Mendonsa and Friedman were confirmed to be the couple. ‘If we’re going to be accurate, I’m in my 97th year. I turned 96 last March, so really 96 is over and finished with,” Benjamin Ferencz said, speaking with The Times of Israel via telephone from his home in Del Ray Beach, Florida. 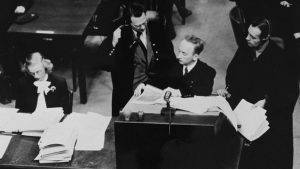 That attention to detail and insistence on precision is what helped Ferencz, a chief prosecutor for the United States during the Nuremberg Trials, successfully secure one of the world’s first convictions for crimes against humanity nearly 70 years ago. It’s also what propels Ferencz to keep fighting for justice. 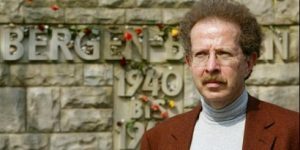 This time the fight comes in the form of a million-dollar donation to the US Holocaust Memorial Museum’s Simon-Skjodt Center for the Prevention of Genocide, which will establish the Ferencz International Justice Initiative. The Ferencz Initiative will work to strengthen the rule of law for atrocity prevention and response, promote justice and accountability in countries where genocide has occurred. “I have witnessed holocausts and I cannot stop trying to deter future genocides. After Nuremberg I laid out my life plan on how you go about saving the world. People concluded ‘that man is crazy!’ But I wanted to change the way people think. You cannot kill an entrenched ideology with a gun,” said Ferencz. “You have to teach compassion and tolerance at a young age. The rule of law must be applied universally to protect humankind universally. It’s a long-range problem, and ‘Law, not war’ is my slogan,” he said. It has been Ferencz’s mandate ever since at the age of 27 he secured the convictions of 22 defendants, all high-ranking SS officers, in the Einsatzgruppen Case. At the time, the Associated Press called it “the biggest murder trial in history.” Thirteen of the defendants were sentenced to death for their role in murdering more than one million people. When Ferencz was just 10 months old, his family, Hungarian Jews, moved to the US from the Carpathian Mountains of Transylvania. He lived in a small basement apartment in Manhattan’s “Hell’s Kitchen.” His father worked as a janitor in an uptown apartment building. He and his sister moved in with an aunt in Brooklyn after his parents divorced. He was six at the time. “We were poor, we didn’t have anything. Education became everything,” he said. Ferencz graduated from the City College of New York. Upon graduating from Harvard Law School in 1943, he joined an anti-aircraft artillery battalion. As a combat soldier Ferencz fought in every major campaign in the European theater, from the invasion of Normandy to the Battle of the Bulge. Then in the winter of 1945 as the Allied forces pushed toward Berlin — the US and UK from the west, the former Soviet Union from the east — Ferencz was tasked with gathering evidence of Nazi brutality. He was to be part of the United States’ first-ever war crimes branch. He visited concentration and extermination camps, he took photos, and he interviewed witnesses and survivors. “I once wrote that I had peered into hell, and I had, but I don’t wake up every day screaming ‘Kill all the Germans,”’ Ferencz said. A remarkable sentiment considering several of his family members perished in Nazi concentration camps. Yet, the search for justice, not vengeance, is a defining characteristic of this nonagenarian. “He’s an inspirational guy,” said Cameron Hudson, Director of the Museum’s Simon-Skjodt Center for the Prevention of Genocide. Of course Ferencz’s gift is more than inspirational, it will help boost research in the still nascent field of genocide prevention, Hudson said. Literature exists on military response, on whether sanctions are effective tools, but there is less on how to leverage international law. After the trials, Ferencz dedicated his legal expertise to securing restitution for Holocaust survivors, who “had survived with only their tattoos and scarred memories,” he said. As director of the United Restitution Organization he also worked to recover stolen Jewish properties, businesses, art and religious objects and return them to rightful owners. After an honorable discharge from the US Army, Ferencz built a private practice. However, as the Vietnam War escalated, he found himself once again thinking of the role courts could play to combat genocide. “I found normal life was rather boring and started studying and writing about world peace and the role of international law,” he said. Numerous articles and books followed. His writings helped lay the groundwork for the International Criminal Court, established in 1998 to prosecute cases of genocide, crimes against humanity, war crimes and the crime of aggression. This isn’t Ferencz’s first gift to the museum. Over the decades he donated one of the largest collections of documents to the Museum’s archives, including diaries, documents from his war crimes work and the Einsatzgruppen Trial, and family history. In 2015 the Museum honored Ferencz with the Elie Wiesel Award, its highest honor. “He [Ferencz] shares our conviction that genocide can be prevented but when it does occur, its perpetrators must be held accountable. His pioneering work and passion for international justice will continuously inform and inspire our efforts in genocide prevention,” Hudson said. Indeed Ferencz, who cares for Gertrude, his wife of 68 years, has no intention of slowing down. “I was 27 when I made the closing argument at Nuremberg for the Einsatzgruppen Case. I was 92 when I made remarks in the closing arguments against Thomas Lubanga Dyilo [former leader of the Patriotic Forces for the Liberation of the Congo, charged with recruiting child soldiers],” Ferencz said. “It’s still a prototype, we are trying to reverse thousands of years of war-making mentality. That doesn’t happen overnight. It’s just beginning,” said 96-year-old Ferencz. EW YORK (AP) — The frail, dapper man who sometimes greeted reporters in his Madison Avenue office spoke in an almost hushed voice, but with urgency, his hands gesturing gently for emphasis. 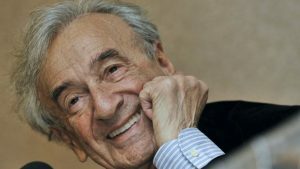 Elie Wiesel’s smile was wry, diffident, a thin facade over the sadness imprinted in the weary eyes and deep creases of a face that mirrored his brutal past. The Auschwitz survivor and Nobel Peace Prize winner, who died Saturday at age 87, was an ongoing reminder of one man’s endurance of the Nazi Holocaust. His words, destined to last far into the future, are a testament to some of the most unfathomable atrocities in recorded history. “Whenever and wherever human beings endure suffering and humiliation, take sides. Neutrality helps the oppressor, never the victim. Silence encourages the tormentor, never the tormented,” he said in 1986, upon accepting the Nobel. One of the world’s foremost witnesses and humanitarians, Wiesel for more than a half-century voiced his passionate beliefs to world leaders, celebrities and general audiences in the name of victims of violence and oppression. He wrote more than 40 books, but his most influential by far was “Night,” a classic ranked with Anne Frank’s diary as standard reading about the Holocaust. “Night” was his first book, and its journey to publication crossed both time and language. It began in the mid-1950s as an 800-page story in Yiddish, was trimmed to under 300 pages for an edition released in Argentina, cut again to under 200 pages for the French market and finally published in the United States, in 1960, at just over 100 pages. “‘Night’ is the most devastating account of the Holocaust that I have ever read,” wrote Ruth Franklin, a literary critic and author of “A Thousand Darknesses,” a study of Holocaust literature that was published in 2010. Wiesel began working on “Night” just a decade after the end of World War II, when memories were too raw for many survivors to even try telling their stories. Frank’s diary had been an accidental success, a book discovered after her death, and its entries end before Frank and her family was captured and deported. Wiesel’s book was among the first popular accounts written by a witness to the very worst, and it documented what Frank could hardly have imagined. In 2006, a new translation returned “Night” to the best-seller lists after it was selected for Oprah Winfrey’s book club. But the choice also revived questions about how to categorize the book. Amazon.com and Barnes & Noble.com, both of which had listed “Night” as fiction, switched it to nonfiction. Wiesel, meanwhile, acknowledged in a new introduction that he had changed the narrator’s age from “not quite 15” to Wiesel’s real age at the time, 15. 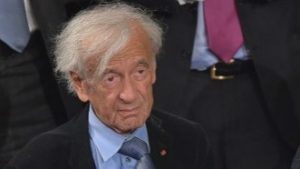 Wiesel’s prolific stream of speeches, essays and books, including two sequels to “Night” and more than 40 books overall of fiction and nonfiction, emerged from the helplessness of a teenager deported from Hungary, which had annexed his native Romanian town of Sighet, to Auschwitz. Tattooed with the number A-7713, he was freed in 1945 — but only after his mother, father and one sister had all died in Nazi camps. Two other sisters survived. After the liberation of Buchenwald, in April 1945, Wiesel spent a few years in a French orphanage, then landed in Paris. He studied literature and philosophy at the Sorbonne, and then became a journalist, writing for the French newspaper L’Arche and Israel’s Yediot Ahronot. French author Francois Mauriac, winner of the 1952 Nobel in literature, encouraged Wiesel to break his vowed silence about the concentration camps and start sharing his experiences. In 1956, Wiesel traveled on a journalistic assignment to New York to cover the United Nations. While there, he was struck by a car and confined to a wheelchair for a year. He became a lifetime New Yorker, continuing in journalism writing for the Yiddish-language newspaper, the Forward. His contact with the city’s many Holocaust survivors shored up Wiesel’s resolve to keep telling their stories. Wiesel became a U.S. citizen in 1963. Six years later, he married Marion Rose, a fellow Holocaust survivor who translated some of his books into English. They had a son, Shlomo. Based in New York, Wiesel commuted to Boston University for almost three decades, teaching philosophy, literature and Judaic studies and giving a popular lecture series in the fall. Wiesel also taught at Yale University and the City University of New York. In 1978, he was chosen by President Carter to head the President’s Commission on the Holocaust, and plan an American memorial museum to Holocaust victims. Wiesel wrote in a report to the president that the museum must include denying the Nazis a posthumous victory, honoring the victims’ last wishes to tell their stories. He said that although all the victims of the Holocaust were not Jewish, all Jews were victims. Wiesel advocated that the museum emphasize the annihilation of the Jews, while still remembering the others; today the exhibits and archives reflects that. Among his most memorable spoken words came in 1985, when he received a Congressional Gold Medal from President Ronald Reagan and asked the president not to make a planned trip to a cemetery in Germany that contained graves of Adolf Hitler’s personal guards. Reagan visited the cemetery, in Bitburg, despite international protests. Wiesel defended Soviet Jews, Nicaragua’s Miskito Indians, Cambodian refugees, the Kurds, victims of African famine and victims of ethnic cleansing in Bosnia. Wiesel was a longtime supporter of Israel although he was criticized at times for his closeness to Prime Minister Benjamin Netanhayu. 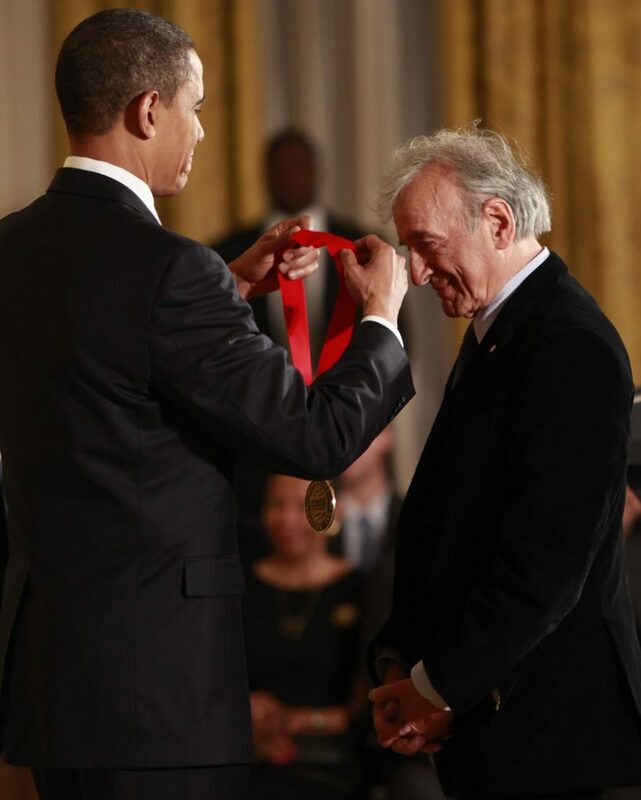 When Netanhayu gave a highly controversial address to Congress in 2015, denouncing President Obama’s efforts to reach a nuclear treaty with Iran, Wiesel was among the guests of honor. The Elie Wiesel Foundation for Humanity, which he established in 1988, explored the problems of hatred and ethnic conflicts around the world. But like a number of other well-known charities in the Jewish community, the foundation fell victim to Bernard Madoff, the financier who was arrested in late 2008 and accused of running a $50 billion Ponzi scheme. Despite Wiesel’s mission to remind the world of past mistakes, the greatest disappointment of his life was that “nothing changed,” he said in an interview. Wiesel’s Jewish protagonist, Michael, returns to his native town in now-communist Hungary to find out why his neighbors had given him up to the Nazis. Suspected as a Western spy, he lands in prison along with a young man whose insanity has left him catatonic. The protagonist takes on the challenge of “awakening” the youth by any means, from talking to forcing his mouth open — a task as wrenching as Wiesel’s humanitarian missions. On the last Monday in April, the traditional month for Holocaust commemoration, actor and playwright Tom Bird seated himself at a bare table in a rehearsal studio a few blocks west of Manhattan’s theater district. He laid a 39-page script in front of him, a first-person narrative of two wars and one genocide with the rather prosaic title Bearing Witness. Over the next 75 minutes, it became clear there was nothing at all ordinary in this text and performance. Bird had, in fact, created a wholly unique and arresting meditation on World War II, the Vietnam War, and the Shoah, with their valor and tragedy lashed together by a father-and-son story. Bearing Witness also stands as a kind of summary of Bird’s life and career. At the age of 69, he has been defined by war and theater. He is a veteran and the son of a veteran. 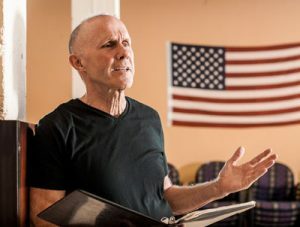 Theater rescued him from the embittered and self-destructive aftermath of the military duty in Vietnam, and, in turn, the art that Bird made with the Vietnam Veterans Ensemble Theater Company helped reconcile a divided America to the men who fought a failed and divisive war. Nothing in Bird’s professional résumé, though, prepared him to produce a work of Holocaust literature. As a Roman Catholic, he was removed from the irreducibly Jewish nature of the Nazi mass murder. Yet a primal, filial motivation wound up leading him there—literally to the Mauthausen concentration camp, where his father had tended to survivors as an Army medic. The staged reading in April was intended to stir interest in the work among commercial producers. So is an invitation-only show in Los Angeles on June 20—appropriately enough, the day after Father’s Day. Already Bird is scheduled to perform Bearing Witness in September at the World Peace Initiative Film Festival in Orlando, Florida, and at Mauthausen in May 2017, marking the anniversary of the camp’s liberation. Imbued with WWII’s aura of justice and righteousness, eager to claim his place in a family heritage, Tom Bird enlisted in the Army for a two-year stint in late 1964. He was in Vietnam for 10 months of that time, ending when he was evacuated out with malaria in June 1966. Entering college back on Long Island as a prized football recruit, Bird found himself called a “war criminal” during a student protest one day. He responded by punching the heckler and breaking his jaw. Convicted and sentenced to two years in Nassau County jail, Bird had the punishment shifted to mandatory psychiatric care, which included the drug Thorazine and electroshock treatments. That moment infused Bird with the sense that theater could heal him. He moved to Manhattan, tending bar and studying with the renowned Lee Strasberg. Then, in the mid-1970s, a Korean War veteran floated the idea of Bird assembling a theater troupe for his era’s ex-soldiers—largely as a way of getting those men paying work, since the stereotype of the ticking-time-bomb Vietnam vet was pervasive in the performing arts. Indeed, Bird and Vetco did something much more than make hit shows. Like other works of art created by or about Vietnam veterans—Ron Kovic’s memoir Born on the Fourth of July, Tim O’Brien’s debut novel Going After Cacciato, W.D. 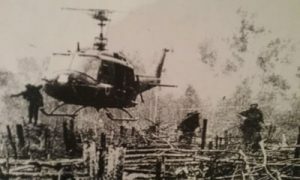 Ehrhart’s poetry, Bruce Springsteen’s acerbic anthem Born in the U.S.A.—Tracers and Dear America contributed to a major change in the American understanding of the Vietnam War. Those who lauded it and those who loathed it could now agree on a central, unifying premise: After a decade or more as pariahs, the men who fought it deserved their nation’s embrace. During the years Bird was developing this body of work, two events occurred that set Bearing Witness into motion. In 1984, on the morning after confiding a secret about his time in Mauthausen to Tom, Sam Bird died. In 1989, when HBO was preparing to release a feature film about Simon Wiesenthal, The Murderers Among Us, Bird was introduced to the legendary Nazi-hunter at a press luncheon. An HBO executive, who knew that Wiesenthal had been imprisoned at Mauthausen, mentioned that Bird’s father had helped there after liberation. Bird then recounted some of the few stories of Mauthausen he had gleaned from his father—the mass graves, the living people hidden among the corpses. Wiesenthal confirmed: Yes, it was all true. He had weighed less than 100 pounds at liberation. And he always remembered the tenderness of the American Army doctors. “Have you visited? Wiesenthal asked Bird. Up until that moment, Bird explained, he had never even thought of it. “Do it for your father,” Wiesenthal told him. Seventeen years passed before Bird followed the admonition. In 2006, his godmother died and left Bird a small bequest. He used it to travel to Mauthausen. Although he had been working for years already on a memoir about himself and his father, Bird had not been a student of the Holocaust, beyond having seen Schindler’s List and the Claude Lanzmann documentary Shoah. In the aftermath of his trip to Mauthausen, however, the Holocaust became the third leg of an evolving script, joined with Sam Bird’s service in WWII and Tom Bird’s service in Vietnam. The text grew to 100 pages, then shrank down to 40. An experienced producer and director—Barbara Ligeti and David Schweizer, respectively—came on board. There was never any question that Bird himself would perform the piece. He had gotten to know the brilliant monologist Spalding Gray when they acted together in the 1984 film The Killing Fields. (Bird gets mentioned in Gray’s one-man show about the movie and the Khmer Rouge genocide, Swimming to Cambodia.) And during the late 1980s and early 1990s, Bird had written and performed two first-person theater pieces, Walking Point and Point of Origin. For anyone who sees Bird in Bearing Witness, it will be nearly impossible to conceive of any other actor doing it. The meld between real life and stage presentation is inseparable. Starting with that moment of discovering his father’s photograph of the victims at Mauthausen, Bird loops forward and backward in time and memory. The questions that compel his journey are these: Why was my father’s war so good and mine so bad? When I was suffering so much after Vietnam, why did my father just keep telling me to get over it? As relentlessly honest as Bird keeps his gaze on Vietnam, he similarly refuses to treat WWII through the rosy tint of “Greatest Generation” nostalgia. For all of Sam Bird’s insistence that his son put the war behind him, for all the father’s seeming equilibrium as a beloved suburban doctor, it turns out that he, too, has been futilely trying to silence the past. His persistent ulcer attests to his unsettled conscience. Just past dawn … warm already … we came up a back road … the pungent odor of death and decay was everywhere in the air … engineers exhuming a hastily dug mass grave about a 100 meters outside the camp … over a thousand bodies … living people had been buried … rescued four Italian soldiers, only one survived … no water, sewage, food, power … hard to tell who was live … we knew if their eyes moved or they blinked … skin was jaundiced, yellowish, tore when we picked them up … too weak to move … they needed fluids … couldn’t find veins … they were covered in lice … eight in ten had typhus … diarrhea was rampant … frozen feet and gangrene … amputations … a woman begged for a cigarette … peeled off the paper… ate the tobacco, choked, couldn’t swallow, had to be rescued … used medicine droppers to feed them … liberated prisoners beat some hated kapos to death … buried 1500 in first week week … 1500 more the second … dying went on for weeks … we froze emotionally in order to work. Sam Bird spent a month in Mauthausen after liberation. On a Sunday dinner in 1984, with a table set by his wife with their best linen and china and silver, he faced Tom and said, “I’ve never told this to anyone, son.” Then he spoke about the second week he was in the camp. One group of survivors seemed to be recovering well. Sam Bird figured he’d give them some milk, help their bones rebuild. Instead, 13 of them died. After all the years of forced starvation, their maladapted bodies reacted to so much nutrition by going into metabolic shock and cardiac arrest. On the morning after Sam Bird confessed all this, he died. I first met Elie when he was a young journalist working in New York in the late 1950s. We developed a close friendship, bound by a deep understanding of each other’s’ experiences as teenagers during the Holocaust. Having survived, our mission was to make the world remember our martyrs and to break the pervasive silence about the Shoah. We were both driven to ensure the remembrance of the destruction of our people under the Nazis and their collaborators and to educate the world about the ultimate consequences of anti-Semitism, intolerance, inhumanity, and injustice. During the 1950s and 1960s, the Jewish community and the larger world were disinterested in our experiences. There was a resounding silence that made us, the survivors, feel isolated and disregarded. As young people in our 20s and 30s, we were all creating new lives, new families, in new countries – but the scars of the Shoah were deeply embedded in our bodies, souls, and hearts. Elie became our “voice” as the representative of our survivor generation. Elie’s writings recorded our memories and validated our identities as the surviving remnant, the sheirit hapletah, of European Jewry. He was always there to defend our perspective in order to sustain the integrity of Holocaust memory and combat all forms of revisionism and exploitation of the Shoah. For us, he was our shining light who became the conscience and guardian of the memory of the Jewish people. During the 1960s-1970s, Elie, Josef Rosensaft, and I created the first International Remembrance Award of the World Federation of Bergen Belsen Associations. Its purpose was to encourage the leading authors and poets of the day to write about the Holocaust and to publish their works at a time when the publishing industry dismissed this subject as not of interest to readers and therefore not commercially viable. The first generation of writers who bore witness to the Shoah served on our literary jury or received the Award, including Primo Levi, George Steiner, Piotr Rawicz, Manes Sperber, Andre Schwarz-Bart, Chaim Grade, Abraham Sutzkever, Uri Zvi Greenberg, Arthur Morse, and others. We, the survivors, took great pride in all of Elie’s achievements and his growing prominence. We were at his side when he raised the consciousness of the world about the plight of Soviet Jewry, when he spoke out on behalf of Israel, when he alerted the world that Jews were in jeopardy in other parts of the world, and when he called for action against the genocides in Cambodia, Rwanda, and Bosnia. We were with him when he opposed the obscene equation of the SS officers buried at Bitburg and the Jewish mass graves of Bergen Belsen. And we were present when he received the Nobel Prize, when this prominent recognition of a survivor of the Shoah brought us all a great sense of fulfillment. I remember when Elie chaired President Carter’s Commission on the Holocaust and we traveled together in 1979 to the Holocaust killing sites throughout Europe to produce a report that resulted in the creation of the U.S. Holocaust Memorial Museum. I will never forget how we walked, arm-in-arm, as we entered Auschwitz-Birkenau. It was traumatic to return to the places where our families were annihilated, but we strengthened each other with the shared memories that united us. When Elie chaired the U.S. Holocaust Memorial Council, I served on the Content and Development Committees under his leadership for the planning of the museum. At each step, we were inspired by his commitment to the integrity of survivor testimony as a core component of the museum’s permanent exhibition. Each decision was guided by his dedication to historical accuracy and authenticity and the avoidance of all forms of trivialization. The World Gathering of Jewish Holocaust Survivors in Jerusalem in 1981 was a pivotal moment in the public acknowledgement of the survivors. Elie authored “The Legacy of the Survivors,” which was read in multiple languages in front of the Kotel, and the thousands of us who were there knew that he had captured everything that was in our hearts. Whenever Elie would meet with survivors, he would always tell us “Write your stories.” He believed passionately in the power of the written word as a permanent form of remembrance. He told us that that our testimonies would endure to educate and inspire future generations to remember those who perished through the words of those who survived to tell the world.